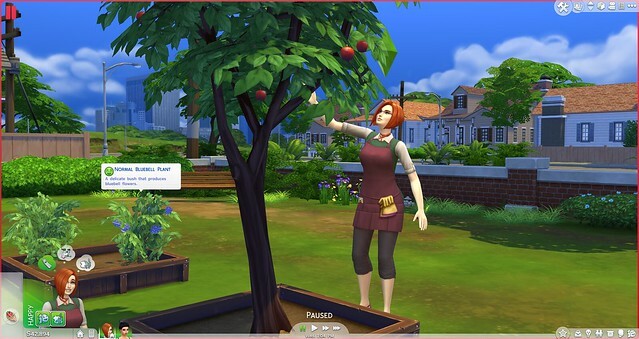 The Sims 4 Gardening Skill unlocks new interactions such as “grafting”, and is also beneficial for Sims looking to use their own ingredients for Cooking. This guide covers everything you need to know about Gardening. Sims can begin raising their Gardening skill by caring for plants (plant, water, weed and harvest). 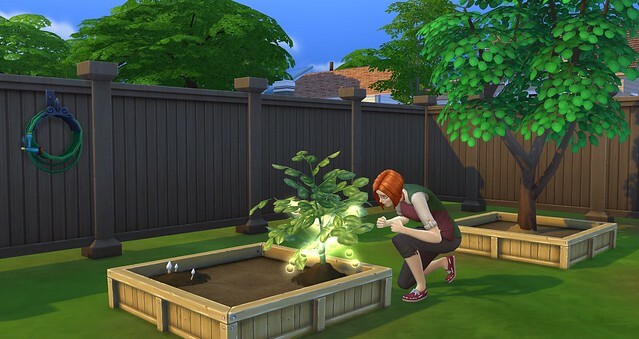 Once your Sim begins using gardening interactions, they will automatically advance to level 1 of the Gardening Skill. Sims can also learn the Gardening skill by reading the Gardening skill books. 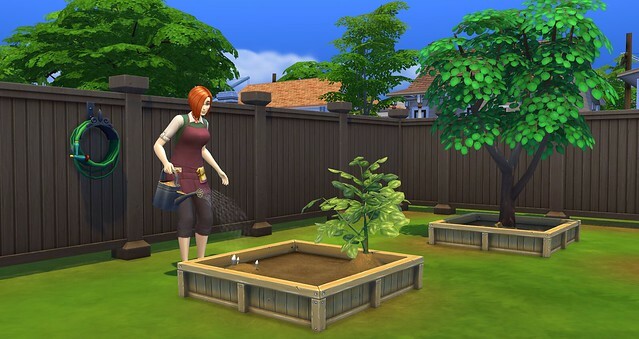 As your Sims continue to use gardening interactions, they will gradually raise their Gardening Skill. The easiest way to level up your Sim’s Gardening Skill is to spend time tending a garden. 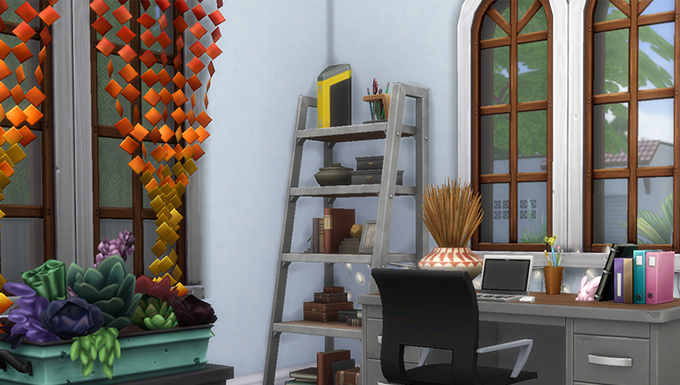 ❗ The “Freelance Botanist Aspiration” gives Sims the “Collector” trait which helps Sims find rare collectibles more often. 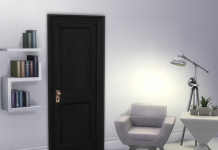 It also helps your Sims significantly increase their satisfaction points. ❗ Sims with the “Loves Outdoors” trait will stay happier when learning this skill outdoors. ❗ Purchase the “Super Green Thumb” trait from the Rewards Store (4000 points) for your Sims, and they won’t have to water, weed, or fertilize any of their plants as often. To begin gardening on your home lot, use a computer or buy a garden pot/planter box to “Purchase Seeds”. Gardening Pots can be used both indoors & out and only hold one plant. Planter Boxes can only be used outdoors and hold up to four plants or one tree. You can also plant directly into the ground. ❗ Sims who reach level 7 in the Gardening Skill can also purchase “Farmer Packs”. Farmer Packs give your Sims a larger quantity of the same collectibles found in the “Starter” packs. 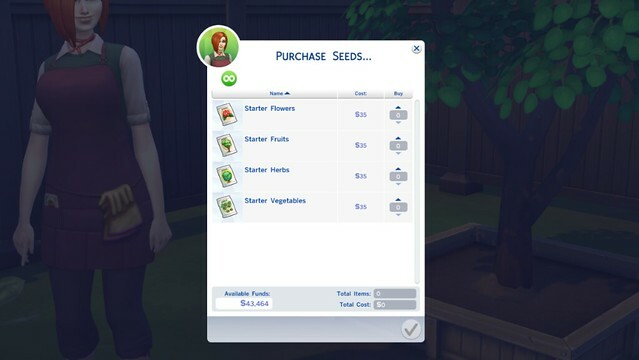 Seeds purchased can be opened from your Sim’s inventory to reveal its contents. The starter seeds can then be dragged out to the ground or a planter box for your Sims to plant them. The starter plants will help your Sim begin their gardening hobby, and help them complete the Gardening Collection. Purchasing seeds is not the only way to get started. 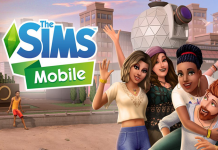 Sims can also head into the public areas of the world and harvest plants from local gardens and other lots. You can then take them back home and plant away! To know which type of plant you have found, use your mouse to scroll over and view the plant’s information panel. 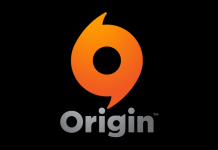 Level 1 Gardening Skill – Sims can Plant, Water, Weed, and Harvest plants. Exploring town to harvest and plant more collectibles is ideal for increasing your Sim’s Gardening Skill. Level 2 Gardening Skill – Sims can now “Evolve” plants every few days to increase their quality level. Evolving a plant produces higher quality harvestables that are higher in value depending on the level of quality. The following quality levels can be achieved with plants: Normal, Nice, Very Nice, Good, Great, Excellent, Superb, Magnificent, Pristine, and Perfect. Level 3 Gardening Skill – Sims can now “Research Gardening” on a Computer. 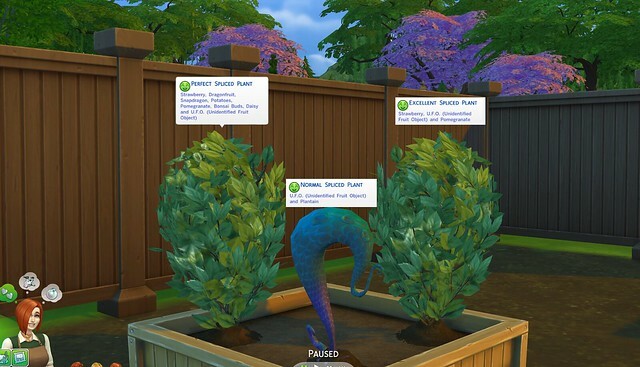 Level 4 Gardening Skill – Sims can now “Talk to Plants” to fulfill their social need and increase the gardening skill. 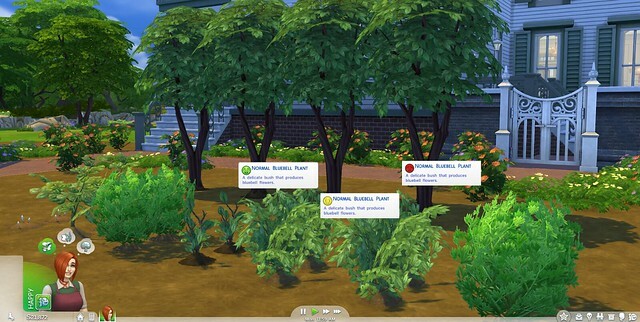 Level 5 Gardening Skill – Sims can now “Fertilize” plants to help them “Evolve” faster. You can use flowers, fruits, herbs, vegetables, and fish as fertilizer. Level 6 Gardening Skill – Other Sims may compliment your garden which results in pleasant conversations. Level 7 Gardening Skill – Sims can now “Take Cuttings”, “Graft” and “Tend” plants. They can also purchase “Farmer Seed Packs” on the computer. Level 8 Gardening Skill – Sims can now “Re-shape” overgrown Bonsai Trees for §50 Simoleons, and “Revive” plants for §100 Simoleons. Level 9 Gardening Skill – Sims are now more efficient at care-taking. 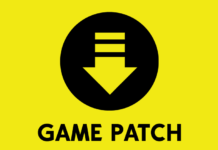 Level 10 Gardening Skill – Sims are now more efficient at care-taking. Plants have three mood levels: “Great”, “Neutral”, and “Bad”. Keeping plants in a good mood is important for maintaining a healthy garden and ensuring plants reach the next level of quality at a faster pace. Weed, water, and tend to plants often to keep them happy. Plants neglected for more than 5 days will die. The quality of plants depends on how long they are cared for and maintained. Beginners in Gardening will find that all plants they grow are of “Normal” quality, but with advancement in the Gardening Skill, Sims can learn to “Evolve” plants to the next level of quality. Plants have 10 quality levels: Normal, Nice, Very Nice, Good, Great, Excellent, Superb, Magnificent, Pristine, and Perfect. 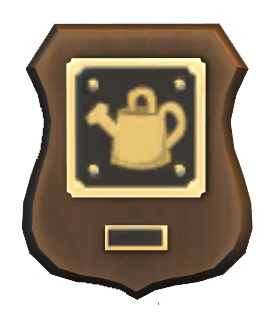 When a Sim reaches Level 7 in the Gardening Skill, they can “Evolve” plants for higher quality harvests. To know when a plant is ready to be evolved, be on the lookout for “sparkles” on the plants. Reaching “Perfect” quality on plants takes a lot of work and dedication. Depending on the type of plant you’re working with, evolving can be done once every 4-5 days. If you have achieved a perfect quality plant, be sure to take very good care it as it’s very useful for grafting lower quality plants and producing a perfect harvest. Plants will produce a harvest every 2 to 4 days depending on the type of plant. Once a plant is ready to be harvested, you can collect up to 10 harvestables. The longer you wait to harvest, the better your chances are of taking full advantage of the harvest cycle. Sims who reach level 7 in the Gardening Skill will have new options when tending plants: “Take Cutting” and “Graft”. Using these new options allows Sims to splice plants to create new “hybrid” plants. ❗ Grafting produces high quality harvestables at a faster pace. If your Sim has created a perfect plant of Daisies for example, they can then graft a “normal” quality Rose to the Daisy plant, which will produce “Perfect” quality Roses and Daisies. ❗ Plants can only produce up to 10 harvestables. The more plants grafted to a single plant, the less variety you will be able to collect. ❗ Plants will die if you take too many “cuttings” from them. The number of cuttings is takes to kill a plant varies depending on quality and type of plant, but could be anywhere between 2 and 4 cuttings. ❗ Mushrooms are the only plant that you cannot cut or graft. Trash Plants happen by accident. 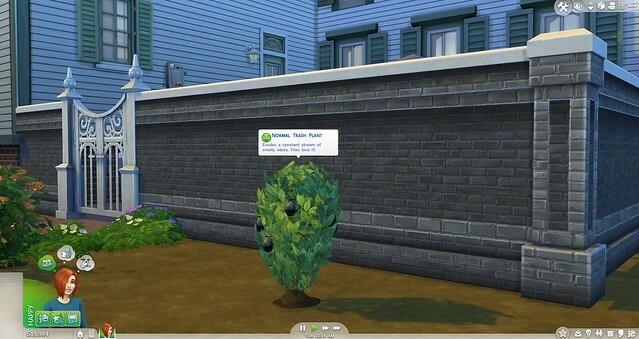 Should your Sims leave the trash on the ground outside for 24 hours, the trash will manifest into a Plant. Trash Plants can be maintained just like any other plant, but does not provide any benefits. In fact, it causes negative affects on Sims and surrounding plants. Trash plants attract flies. Should your garden grow a trash plant, be ready for an infestation of a lifetime. Neglecting to properly care for and maintain plants for more than 5 days will eventually kill them. In addition to neglect, plants will also die if you take too many “cuttings” from them. The number of cuttings is takes to kill a plant varies depending on quality and type of plant, but could be anywhere between 2 and 4 cuttings. ❗ Note: Ghosts that die by Cowplant, when angry, have the ability to “Decay” plants. Failing to care for the decaying plants will eventually lead to death. Click here to learn more about Ghosts. ❗ Purchase the “Super Green Thumb” trait from the Rewards Store (4000 points). This trait significantly decreases the amount of water, weeding, spraying, and fertilizing required by a Sim. Dead plants dry up and expel a green gaseous cloud. Working hard to increase your Sim’s Gardening Skill pays off big should your garden fall victim to death. 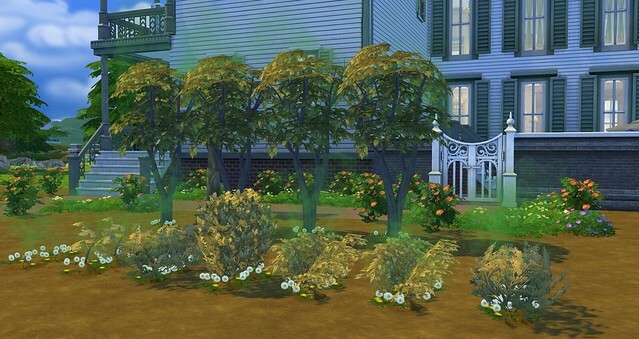 Sims with a Gardening Skill level of 8 or higher can “Revive” plants for §100 Simoleons. The plant will come back to life at the same quality level it died in, but will have to complete the regular growth cycle again. 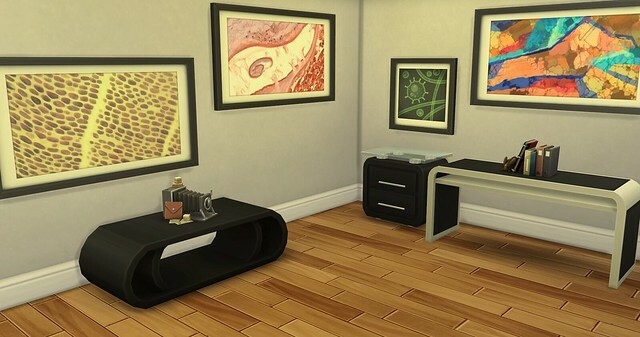 Sims with a level 2 in the Logic Skill will unlock the ability to “Collect Microscope Samples” from Plants. They can then “Analyze” these samples with the microscope, and unlock microscope prints. Read more about collecting samples in our Microscope Prints Collection Guide. There are a total of 33 gardening collectibles to find. Many of the collectibles help increase the quality of food you cook, and also help complete your household Gardening Collection. 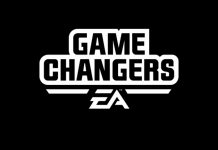 Sims will have to search high and low, and use the “grafting” interaction to find every collectible available in the game. ❗ Note: Values are based on each plant’s “Normal” quality. Higher quality plants yield higher value. Dragonfruit Rare §16 An exotic, vibrant-colored fruit. Graft a Strawberry and Snapdragon. Blackberries Rare §11 An aggregate fruit, known for its tangy bite and smooth aftertaste. Great for pies! Found in Oasis Springs behind the Sultry Springside Lot. Cowplant Berry Rare §20 A plantable, strangely bovine fruit. Graft a Dragonfruit and Snapdragon. Also found when fishing in the back part of Oasis Springs' Park or the Forgotten Grotto . Trash Fruit Rare §1 A foul smelling blossom inexplicably composed entirely of refuse. Trash fruit grows outdoors when Sims leave a pile of trash on the ground for 24 hours. Orchid Rare §5 A colorful, exotic blossom. Graft a Lily and Snapdragon. Also received as a reward for completing the Space Rocks Collection. Unidentified Fruit Object Rare §24 Strange space fruit. Found when using the Rocketship to "Explore Space". Pomegranate Rare §4 A rare red-skinned fruit with tart, edible seeds. Graft and Apple and Cherry. Also found when fishing in Sylvan Glades. Death Flower Rare §1 A spooky, yet elegant blossom. Roses just don’t cut it for the Grim Reaper. Try this flower to calm his qualms and get out of a deadly situation. Graft an Orchid and Pomegranate. Bonsai Buds Rare §4 A small cluster of fragrant, green berries that can grow bonsai shrubs. Graft a Strawberry and Daisy. Bird of Paradise Rare §4 A flame-tipped flower, known for its avian characteristics. They might take flight during winter months. Graft a Tulip and Chrysanthemum. Cherry Uncommon §3 A pair of small, red fruit with pits. Found in Oasis Springs in the area behind the Affluista Mansion lot. Also found in Sylvan Glades. Lily Uncommon §4 A large, vibrant blossom. Found in Willow Creek in the "public garden" area behind the Umbrage Manor lot. Rose Uncommon §4 A blossom of beautiful color and lovely aroma. Found in Willow Creek in the "public garden" area behind the Umbrage Manor lot. Tomato Uncommon §3 A juicy, red-skinned fruit often mistaken for a vegetable. Found in Oasis Springs in the "picnic" area across from the Slipshod Mesquite lot. Strawberry Uncommon §2 A small, sweet fruit with a red seed covered skin. Found in Oasis Springs in the fishing area across from the Slipshod Mesquite lot. Potato Uncommon §2 A starchy, delicious underground tuber. The humble potato is often misidentified as a root. Found in Willow Creek in the "public garden" area behind the Garden Essence lot. Pear Uncommon §3 A crisp and fleshy fruit with a distinctive bell shape. Found in Willow Creek in the "public garden" area behind the Umbrage Manor lot. Onion Uncommon §3 A fragrant and tangy root vegetable. Found in Oasis Springs in the fishing area behind the Agave Abode lot. Tulip Uncommon §4 A plump bloom that grows even after picking, with delicately pointed petals around a cluster of stigma. Found in Oasis Springs in the area behind the Affluista Mansion lot. Parsley Common §2 A delicate, minty herb leaf. Graft Sage and Basil. Also available in the "Starter Herbs" seed packet. Grapes Common §7 Sims love popping these in their mouth like crisp, juice chocolates. Available in the "Starter Fruits" seed packet. Spinach Common §1 A vitamin-rich dark green vegetable leaf. Available in the "Starter Vegetables" seed packet. Snapdragon Common §4 A collection of small, vivid blossoms. Found in Willow Creek in the "public garden" area behind the Garden Essence lot. Sage Common §2 A musky, purple herb leaf. Found in Oasis Springs in the "picnic" area across from the Slipshod Mesquite lot. Lemon Common §3 A sour citrus fruit. Found in Oasis Springs in the "picnic" area across from the Slipshod Mesquite lot. Mushroom Common §1 An earthy, edible fungus. Available in the "Starter Vegetables" seed packet. Basil Common §1 Once known for its ability to ease pain from a scorpion-sting, this leafy herb now decorates elaborate meals. Available in the "Starter Herbs" seed packet. Apple Common §3 Characterized by that distinctive snap-hiss, bites from an apple are likely to have Sims feeling full and refreshed. Available in the "Starter Fruits" seed packet. Also found in Willow Creek in the "public garden" area behind the Garden Essence lot. Daisy Common §1 A common bright flower of yellow and white. Available in the "Starter Flowers" seed packet. Also found in Oasis Springs in the "picnic" area across from the Slipshod Mesquite lot. Chrysanthemum Common §4 A beautiful flower that can be grown in the garden. Available in the "Starter Flowers" seed packet. Also found in Oasis Springs in the "picnic" area across from the Slipshod Mesquite lot. Blue Bells Common §4 A cluster of small blue blossoms. Available in the "Starter Flowers" seed packet. Also found in Willow Creek in the "public garden" area behind the Garden Essence lot. Carrot Common §2 A sweet orange tuber. Available in the "Starter Vegetables" seed packet. Also found in Oasis Springs in the "picnic" area across from the Slipshod Mesquite lot. (Not included as Collection item) Common §2 A starchy, Banana-like fruit. Best cooked before eating! Graft a Pear and Lemon. Also available in the "Starter Fruits" seed packet. Go, Green Thumbs! Plaque §0 Awarded to household when completing the "Gardening" Collection.